Reignite your creativity and passion! Do you have a longing to feel more alive and awaken every cell in your body? Do you yearn to clear your mind and be present in your daily life? Do you desire more connection with your core self and who you really are? Perhaps you have questions and aspirations swirling around inside you, searching for a fresh start, but you just don't know where to begin. Creativity is the ability to think and act beyond our current boundaries and living situations. To unlock our inner being and allow our natural self to open and flow allowing us a deeper connection with ourselves and others. Essential oils are also a natural way to enhance supporting your emotional health through aromatherapy and topical applications. 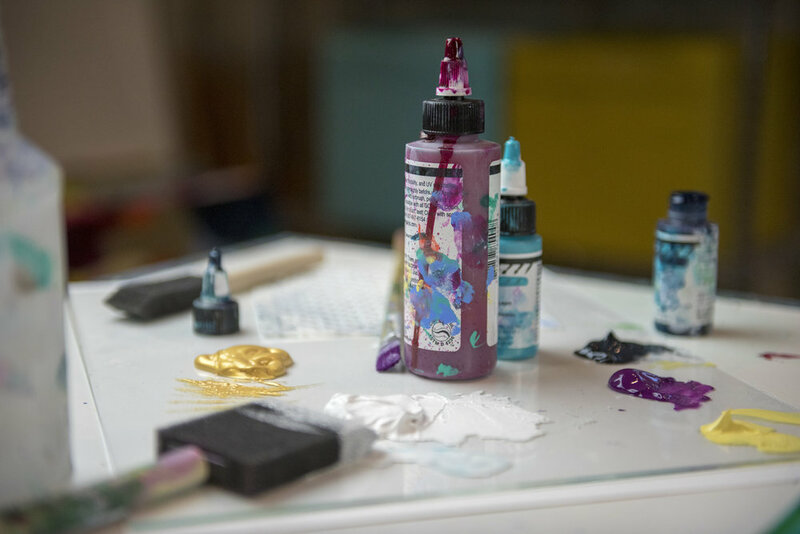 Escape from everyday stressors and explore intuitive painting in an expressive and process focused way that is healing, playful, and transformative. Unlike most painting classes this retreat focuses on the process rather than the product allowing you to stay outside of judgement and critical thinking while freely reaching for colors and making various marks and creating textures. This style of painting encourages you to stay open to possibilities, live in the moment and remain curious along the way. I education you on how to use essential oils to further support and enhance your emotional health along the way. When: Next LIVE round: January 2019 *You can also complete the program on your own in between the live opportunities. What: Daily Mindfulness Painting, Learn how to Intentionally and Safely use doTERRA Essential Oils. Daily Motivational Quotes and/or Guided Meditation Prompts, Learn about Art Therapy, Intuitive Painting and Witness Writing. In this course we are utilizing essential oils in a therapeutic way and to get the full benefits of the program we are only using the purest and potent oils on the planet. 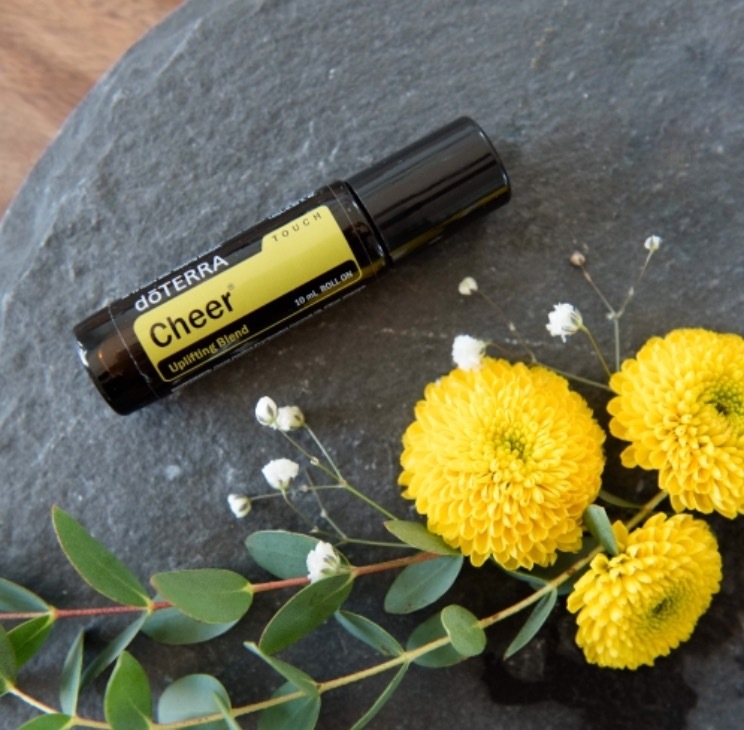 I align with doTERRA as an essential oil company I trust and have truly seen they way they have impacted lives all around the globe. Below you will learn the three ways you can enroll in this course. Option 1: I already have a wholesale account with doTERRA. You can purchase this class for $225 and contact me for the oils you will need to order before the class begins. Option 2: Purchase the essential oils through this link and your class is free! Option 3: I am already a part of your Expressive Journeys Team! The class is Free for you. Please reach out to get the list of oils to order before the next class begins. I have been personally using oils for years and have recently witnessed the impact they can have on emotional and behavioral health. My aim is to give you a bit of guidance of what has worked for others in hopes that it can make a difference for you. Non of the statements regarding essential oil usage have been evaluated by the Food and Drug Administration. The views and opinions shared in this class are intended to help educate about the uses of essential oils and art for emotional well-being. It is with this understanding that this class is not intended to diagnose, prescribe, treat, cure or prevent any mental health issues and that Kayla Helenske is not held liable for the misconception or misuse of the class. Please note that Kayla Helenske is not your therapist and is in no way a substitute for working alongside a trained mental health professional or other medical provider. Please consult with your healthcare provider before using essential oils if you are pregnant or nursing, taking any medication or if you have a medical condition. Also note: Any oils containing citrus (blends and single oils) should not be applied to sun exposed skin for 12-48 hours. Kayla Helenske will not be held responsible for any adverse reactions to the use of the oils.